After what seems like an eternity Fallout 3 is finally out for Playstation 3, Xbox 360, and PC. Very few games have made it to the midnight release status. Fallout 3 is one of them among heavily marketed Halo 3, and Grand Theft Auto IV. The high-definition game is available tonight for midnight release in some Best Buy stores across the US. Fallout 3 is built on the same game engine as Bethesda’s Oblivion from 2006. It is a single-player RPG set in a post-apocalyptic Washington DC. The story takes you out of Vault 101, a fallout shelter providing safety from the dangers of a nuked world loaded with giant insects, raiders, slavers and super mutants. You must find the truth of why your father defied the Overseer and left the Vault. Some features of Fallout 3 include HD graphics, the ability to queue up attacks, 1st or 3rd person perspective, pausing time during combat and target specific body parts using Vault-Tec Assisted Targeting System (VATS), firearms wear out over time and firing rate and accuracy degrades, and finally a karma system. Players will have a maximum party size of three, consisting of himself/herself, Dogmeat, and a single NPC. 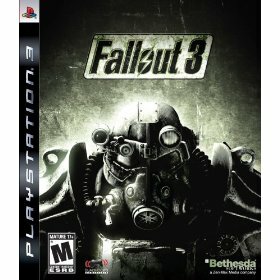 Fallout 3 retails for $59.99 and is available for Playstation 3 , Xbox 360 . It is also available at $49.99 for Windows PC . i was up all night with this game…killed me. but damn was it great!